Jordan Nadler and Caitlin Sponheimer the 5th.Annual Great Food Truck Derby at Hayground School in Bridgehampton on August 19, 2016. 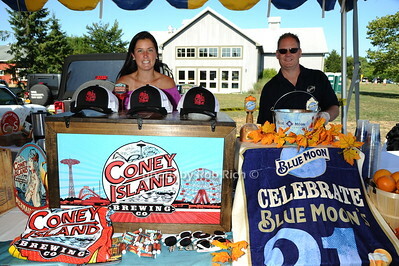 Kelly Murphy and Al Carey pouring the Blue Moon the 5th.Annual Great Food Truck Derby at Hayground School in Bridgehampton on August 19, 2016. 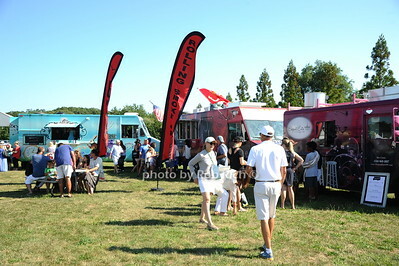 Gil Musnicki and Ravenel Ellis the 5th.Annual Great Food Truck Derby at Hayground School in Bridgehampton on August 19, 2016.
atmosphere the 5th.Annual Great Food Truck Derby at Hayground School in Bridgehampton on August 19, 2016. 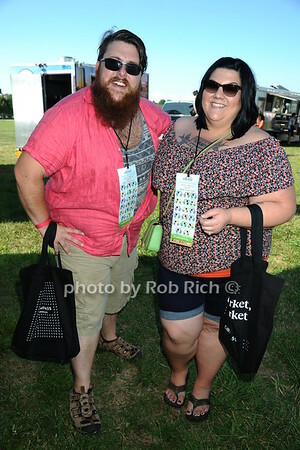 Debra O'Shaughnessy and Chris O'Shaughnessy the 5th.Annual Great Food Truck Derby at Hayground School in Bridgehampton on August 19, 2016. 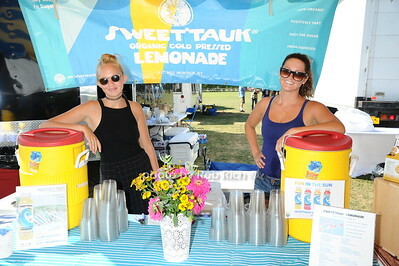 Sunny Melet and Thea Grenci serving Sweet'Tauk lemonade the 5th.Annual Great Food Truck Derby at Hayground School in Bridgehampton on August 19, 2016. 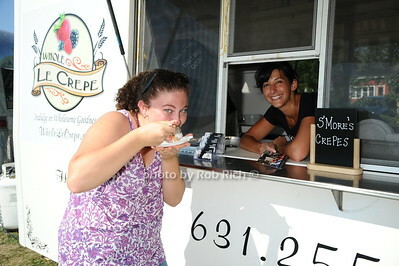 Gabriella Lobue tries a crepe from Tina Paola of Whole Le Crepe truck the 5th.Annual Great Food Truck Derby at Hayground School in Bridgehampton on August 19, 2016. 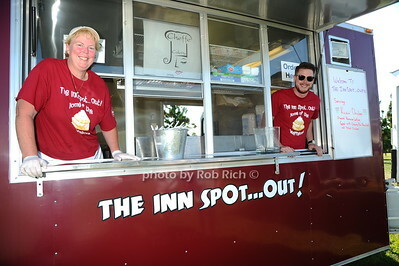 Pam Wolfert and A.T. Turner serving up food from the INN Spot food truck the 5th.Annual Great Food Truck Derby at Hayground School in Bridgehampton on August 19, 2016. 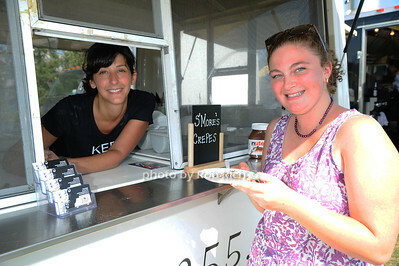 Christine Sherman from the Eat Me, Drink Me food truck serves Tina Dintano the 5th.Annual Great Food Truck Derby at Hayground School in Bridgehampton on August 19, 2016. 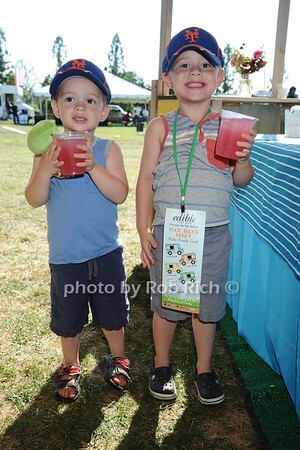 John Ober and Daniel Ober enjoying lemonade the 5th.Annual Great Food Truck Derby at Hayground School in Bridgehampton on August 19, 2016. 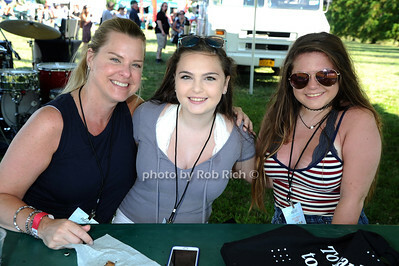 Lori Moore, Ruthie Deslauriers, Lisa Deslauriers, and Mario Deslauriers the 5th.Annual Great Food Truck Derby at Hayground School in Bridgehampton on August 19, 2016.
the 5th.Annual Great Food Truck Derby at Hayground School in Bridgehampton on August 19, 2016. 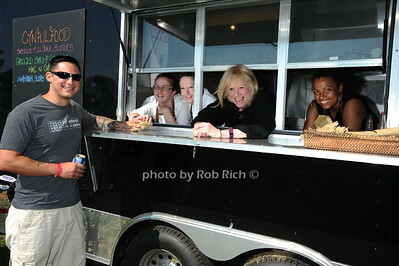 Steve Mascinpinto, staff, and Chef Cynthia Sestito in the Cynful food truck the 5th.Annual Great Food Truck Derby at Hayground School in Bridgehampton on August 19, 2016. 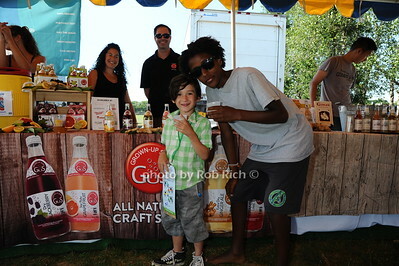 Luca and Leray sampling some Gus' soda the 5th.Annual Great Food Truck Derby at Hayground School in Bridgehampton on August 19, 2016. 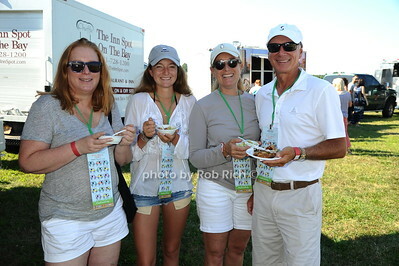 Getting a taste from the Chiki-Wawa food truck the 5th.Annual Great Food Truck Derby at Hayground School in Bridgehampton on August 19, 2016. 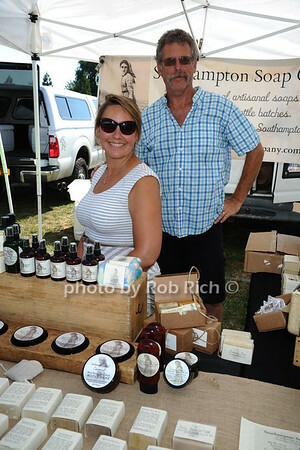 Alex Kuehn and Dina Kuehn the 5th.Annual Great Food Truck Derby at Hayground School in Bridgehampton on August 19, 2016. 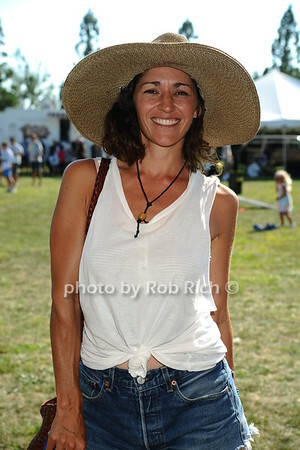 Angela Dzhelliev the 5th.Annual Great Food Truck Derby at Hayground School in Bridgehampton on August 19, 2016. Nicolette Diodati from Wolffer Estates serving Dry Rose Cider the 5th.Annual Great Food Truck Derby at Hayground School in Bridgehampton on August 19, 2016. 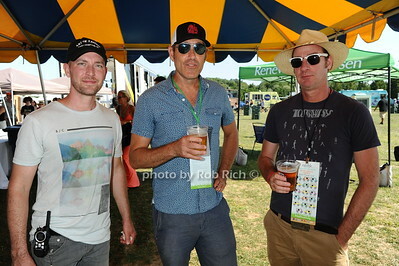 Phil Kess, Steven Munshin, and Jamison Ellis the 5th.Annual Great Food Truck Derby at Hayground School in Bridgehampton on August 19, 2016. 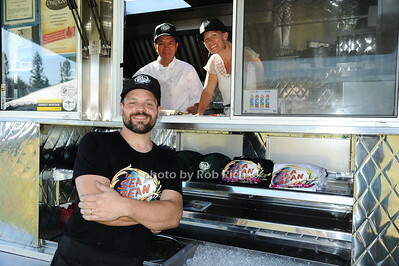 Shawn Christman, Manolo Cura, and Courtney Chrisman from the Sea Bean food truck the 5th.Annual Great Food Truck Derby at Hayground School in Bridgehampton on August 19, 2016. 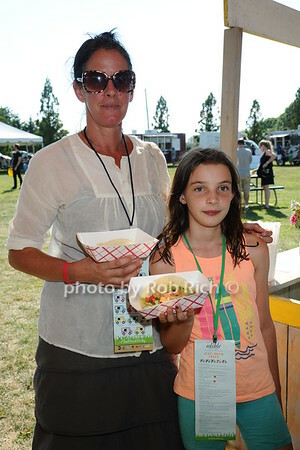 Wunetu Wequai Tarrant gets some food from Kristin Rounsley of Elegant Eats food truck the 5th.Annual Great Food Truck Derby at Hayground School in Bridgehampton on August 19, 2016.